One of the many benefits of technology is that it allows businesses to optimise operations in extreme conditions, with more devices being designed for use in challenging environments. However, this presents a challenge for OEMs tasked with designing these products. So how can design engineers tackle the extreme challenge? Picture the scenario: you’ve been roped into a rock climbing challenge but you haven’t been provided with any protective clothing. Although there is a possibility of scaling the cliff-face safely, the knowledge that you are unable to withstand an unprotected drop would be enough to deter most people. There is a similar concern with electronic devices in harsh environments; where the components must be designed specifically for the conditions. Whether it is security camera systems designed for the high temperatures of oil refineries or military communications equipment for use in rugged terrain, design engineers must ensure that the components used in their equipment are durable. This means understanding the precise conditions their application will be used in and specifying accordingly. 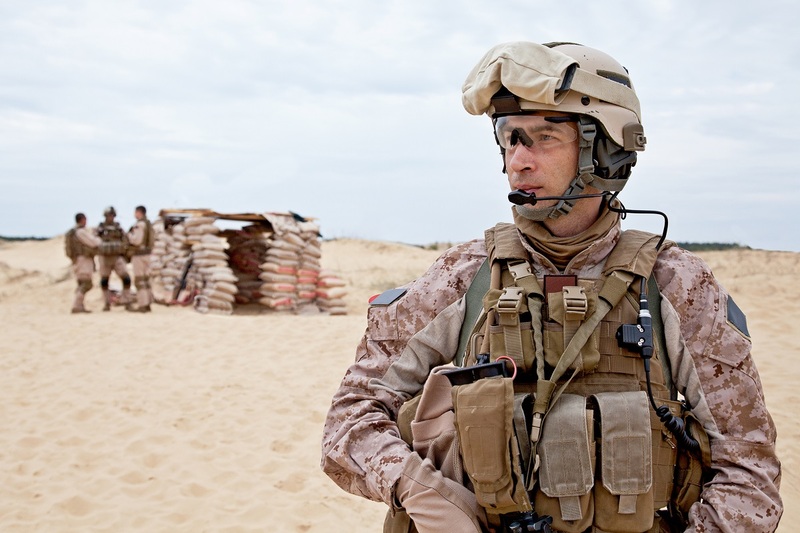 For example, design engineers that are given a brief to develop a handheld military radio for use by soldiers in the field must consider where those troops will be deployed. Although the product enclosure and components must be rugged in any case, the components must also fully perform in a wide temperature range if the radio will be used in hot and humid conflict zones. Design engineers must pay particular attention to this when selecting a battery for their device. In countries such as Afghanistan, for example, the average maximum temperature is 38°C during summer. Batteries themselves can heat slightly during discharge, so design engineers must therefore specify a battery with a maximum operating temperature of at least 50°C. Otherwise, the radio may function effectively during training exercises but fall short when it is needed most. However, there cannot be a one-size-fits-all approach to battery selection in such a scenario. The rise of counterfeit electronics in recent years has driven a surge in fake batteries, which do not offer the same safety and performance features as professional military batteries. As such, these batteries can generate excess heat during discharge that, combined with no guarantee of reliability, increases the likelihood of failure. Fortunately, there are a number of off-the-shelf professional batteries capable of safely withstanding the operating temperature, such as the -20 to 60°C range offered by Ultralife’s batteries. These also offer high energy density, a long cycle life and a stable discharge rate. Yet temperature is not the only consideration for battery selection. Factors such as lifecycle and durability must also be considered, especially for remote applications. It is important that device OEMs consult battery OEMs such as Accutronics to determine what will best suit their applications. It is advisable that design engineers use bespoke batteries for extreme environments. Although newer technologies are allowing businesses to augment human performance in previously difficult environments, the true benefits lie in an effectively designed and specified device. With the right components and power supplies in place, OEMs can reap the performance benefits. Michael Windsor is with Accutronics.